NHS Lothian staff can be booked through emanager/empower or for further assistance please email the above. This year Tesco celebrates its centenary and to mark the occasion we want to celebrate the communities which we serve. Bags of Help is Tesco’s local community grant scheme which since 2016 has supported over 25,000 community groups with over £75million worth of funding. This year, a new initiative, Bags of Help Centenary Grants, will provide larger grants of £25,000, £15,000 and £10,000. There are two planned rounds of funding with customers voting for their favourite projects in our stores during July/August and again in November/December. In the first round we are looking specifically for charities or groups promoting health with priority going to those helping to tackle heart disease, cancer and diabetes. The second round of funding will have a broader community theme. 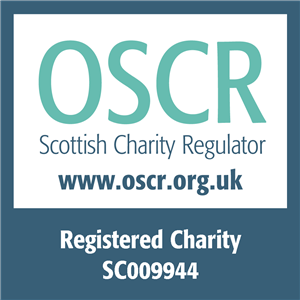 We are specifically looking for applications from charities or not for profit organisations which operate across Central Scotland and would appreciate your support to raise awareness by encouraging charities and community groups to apply. We would also encourage you to share this opportunity on social media using #bagsofhelp. Please do contact our team at bagsofhelp@tesco.com if you have any questions or if you would like any Bags of Help leaflets and we would be delighted to offer assistance. Dads Hairstyle workshop – With Charlie Miller and Dads Rock, come learn how to Braid and plait hair. Dads Feeding workshop – Come find out why your child eats what they eat, and how to encourage them to eat new food.